Feb 3 (AZINS) Team India did have an empathic win over New Zealand as they defeated them by 35 runs in the fifth and final one day international. Clinching the 5-ODI series 4-1 at the Westpac Stadium in Wellington on Sunday, the spirit of the team was bound to be high. The famous line from the recently released and highly successful Vicky Kaushal-starrer Bollywood movie 'Uri: The Surgical Strike has been used by one and all. During the award ceremony, as per tradition, the trophy was lifted by the youngest member of the Indian squad -- Shubman Gill - who played his debut match in the fourth ODI after Virat Kohli was rested. Shikhar Dhawan too was seen doing an impromptu dance celebration after receiving the trophy. 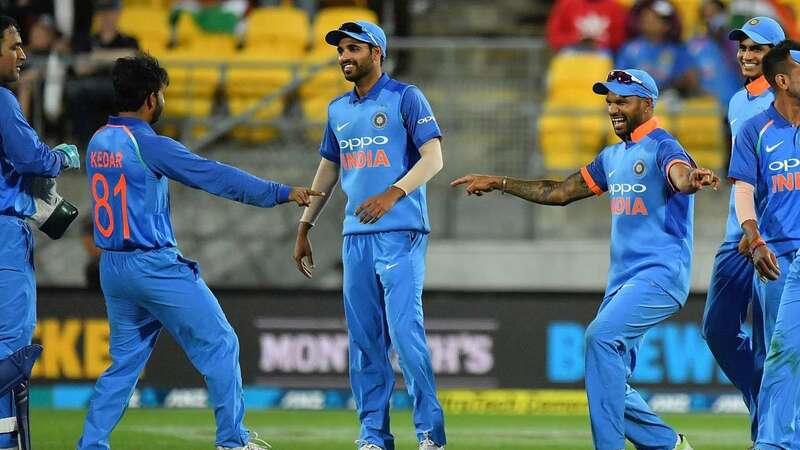 India will now be playing three-match T20I series against New Zealand, starting from Wednesday, February 6 at the Westpac stadium in Wellington.